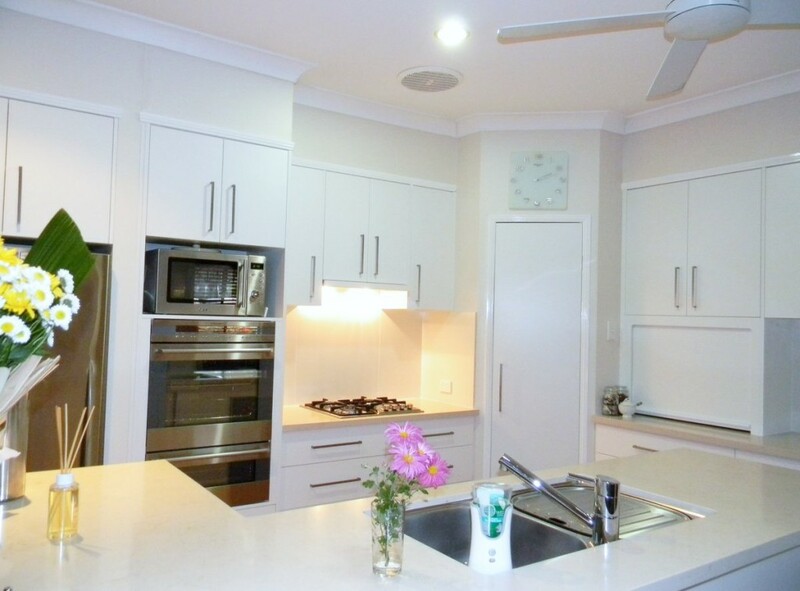 After building kitchens since 1979 and designing approximately 20,000 custom-made kitchens for all types of clients with various personalities and needs, I have concluded that kitchen design ideas are not that hard. When Rod’s Kitchens designers arrive at the client’s house, the first question that we ask is, “Have you played the pretend game?” More often than not when we ask this question we get a confused look from the client, we then explain that this is the ideal way to get the best kitchen design that is going to work for you and your family’s needs. You need to go through the motions in your mind as you would in your kitchen, so when you’re unloading the dishwasher, where is the crockery and cutlery drawers placed? Are they near the dishwasher and how far do you have to step to load the drawers? All these come into consideration when you are unloading your dishwasher. Also, when you come home from grocery shopping and have both arms full of groceries, is there enough bench space close to the pantry and fridge. Your life will be a lot easier if the design has this space close to where you want it. Ideally, there should be approximately 600mm wide bench space between the pantry and the fridge. Where is your kettle going to be placed, is it on the bench or in an appliance cupboard? How far is the sink when you want to fill your kettle for your favourite tea or coffee? How far is the refrigerator from the kettle when you need milk for your coffee or tea? Also, when someone is working in the kettle area making a cuppa, are they in the way of Mum who is unloading the dishwasher, or getting in Mum’s way when she is cooking up a big family meal? Is there a cupboard space handy for putting your tea, coffee, chocolate, sugar, sweetener, or anything that is relevant in making your favourite drink? Is it easy to do? Is the breakfast bar in a good position to have a view through the window when you are sitting at it, or possibly looking out the backyard to the children playing? These are just a few examples why it is so important to take your time and do your research, and don’t forget to ‘Play the Pretend Game’. Rod’s Kitchens have been specialising in designing and installing custom-built kitchens since 1979 from our Underwood factory, and as of 2008 at our new and bigger premises at Meadowbrook.